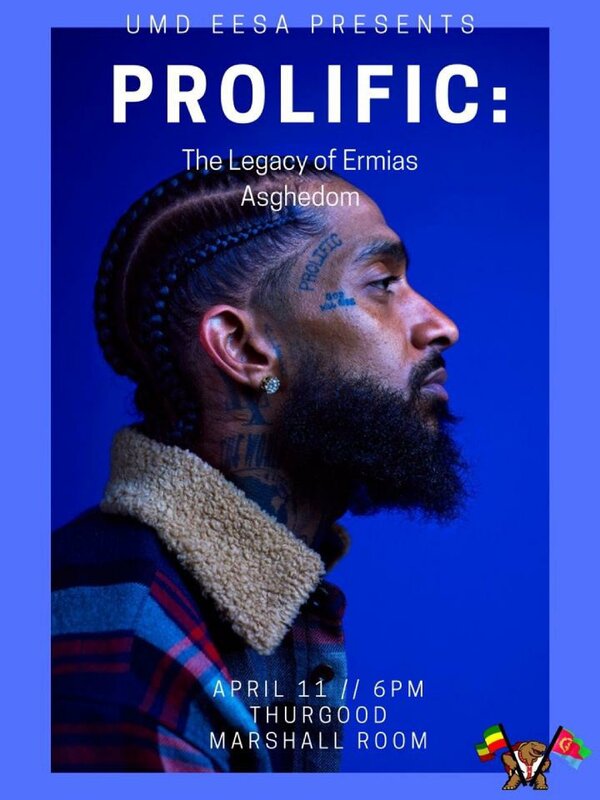 The Ethiopian & Eritrean Student Association held a tribute Thursday evening for the late Grammy-nominated artist and entrepreneur, Nipsey Hussle, at its general body meeting. Titled “The Legacy of Ermias Asghedom,” Hussle’s birth name, the meeting centered around his work as an artist and philanthropist. Hussle died March 31 after being shot and killed outside his Marathon clothing store in Los Angeles. Eric Holder, the alleged gunman, is facing charges of murder and attempted murder. Hussle was of Eritrean descent and never hid where he came from, regardless of the fame he achieved. When he visited Eritrea in 2018, he spoke to a local TV station and talked about how his heritage has inspired him considering how difficult life can be for citizens in Eritrea. “I feel a sense of pride knowing the history of the struggle and just the circumstances our people overcame,” Hussle said. Sara Nigatu, a junior information science major, did not frequently listen to Hussle’s music, but his philanthropic work, along with his cultural background, helped her better understand who he was. Yoseph Tewodros, a senior aerospace engineering major and president of the EESA, wanted to dedicate a day to Hussle because of how his death has impacted the public and how more people are now viewing him as more than a rapper. “I feel like people have seen all the things that he’s done for his community now that he’s passed away, and this meeting allows us to see how he’s affected the lives of others with more than just his music,” Tewodros said. Students at the meeting praised Hussle for the efforts he made to give back to the southern Los Angeles community he grew up in. Hussle helped promote “Destination Crenshaw,” a program dedicated to helping teach black culture to citizens in southern Los Angeles. He also constructed a basketball court for an elementary school and a STEM center as well. Tewodros said the community service EESA does will help keep Hussle’s spirit with them wherever they go. The student group collaborates with different organizations in the DMV to help younger generations and the less fortunate. Just hours before EESA met to pay its respects to Hussle, his family honored him with a public memorial service at the Staples Center in Los Angeles. His burial occurred at Forest Lawn Memorial Park a few hours after his service ended.